Experience Columbia before you even arrive! When you’re planning your trip to Columbia, there are lots of things you might do to get ready. Reserve a hotel room, make a packing list, get someone to watch the cat. You also check out this blog or our website to decide where you want to eat, what shops you want to visit or which art galleries you want to explore. –Facebook: Connect with other Columbia fans, post pictures and ask questions. –Twitter: Updates on events, attractions, restaurants and more…all in 140 characters or less. -Email: Need some expert help from a Columbia staffer? Email us at info (at) gocolumbiamo (dot) com. –Pinterest: Our beautifully curated boards will give you a taste of the Columbia experience before you even arrive. –E-newsletters: Get our general newsletter every month or take it a step further and tell us what your interests are, and you’ll be on the list for anything from shopping to sports. –Request a Visitor Guide: A handy reference while you’re planning or while you’re exploring. When planning your trip, we hope you’ll pick one or two of these methods to connect with us. We love having you here! How Do You See Columbia? 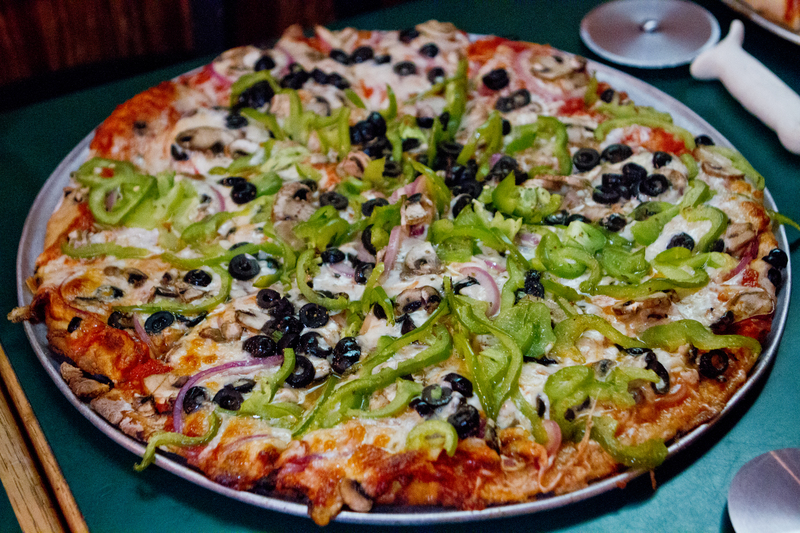 Mouthwatering Shakespeare’s Pizza. We can almost taste the goodness. Photo by Tom Plant. 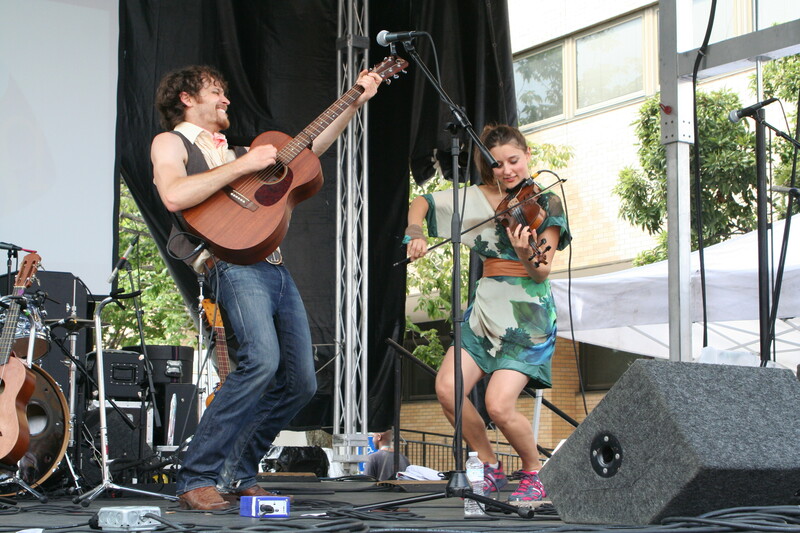 The David Wax Museum performs at the 2011 Roots ‘n Blues ‘n BBQ Festival. Photo by Sam Mead. 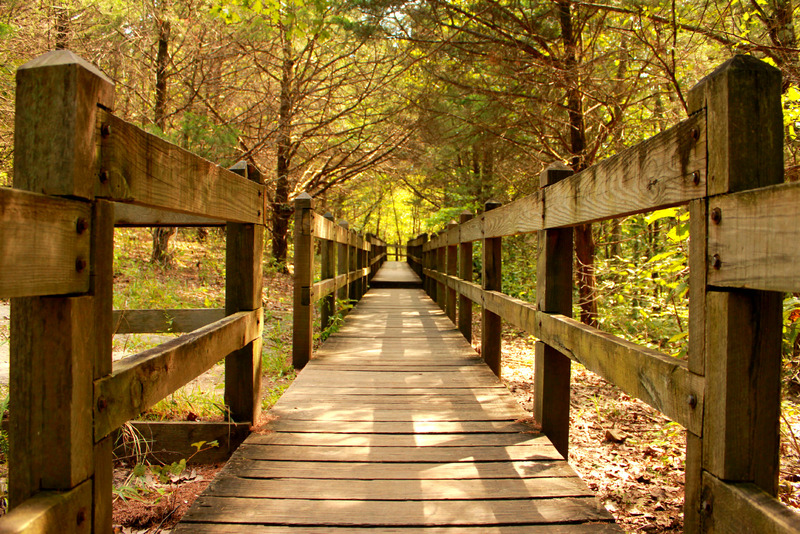 A beautiful view of a trail in Rock Bridge State Park. Photo by Jennifer McGovney. Photos from the thrilling to the serene make up the best of Columbia. Now we want to know…how do you see Columbia? Throughout June, we’re asking you to submit your favorite Columbia photos! Your favorite Columbia spot? Take a photo! Your favorite Columbia park or trail? Take a photo! Your favorite Columbia ANYTHING? Take a photo! -Post it as a comment to this very blog post. -Tweet it to us @ColumbiaMOCVB. -Post it on our Facebook wall. In the beginning of July, we’ll give all of our CoMo fans on Facebook a chance to pick their favorite shot and you could be the winner! So grab your camera or your iPhone and get started! In between the day off from work, the time with family and the burgers on the grill, don’t forget to take the time to remember that it’s Memorial Day. This year, Columbia will celebrate the 24th year of its Salute to Veterans Memorial Day Weekend Celebration. It’s an amazing time to honor history, spend time with your family and, of course, watch people jump out of airplanes. The Screaming Eagles Jump Team will take part in the both the Airshow and the Parade on Memorial Day Weekend. The two main events of the weekend are the Airshow at the Columbia Regional Airport on Saturday and Sunday and the Parade in Downtown Columbia on Monday morning. Here are a few tips and highlights for how to best enjoy this Columbia tradition. -The Shuttle Buses are the fastest way to get to and from the Airshow. At only $3 per person roundtrip, it makes enjoying the event simple. -When you pack for your day at the Airshow, don’t forget your sunscreen, hat, binoculars and ear protection (especially for small children). -Don’t forget to check the airboss schedule to find out when the aircraft you want to see will be in the air! -The Parade starts at 9:55 a.m. on Monday morning with the jump team parachuting onto each corner of Broadway. Get there early to claim your spot! 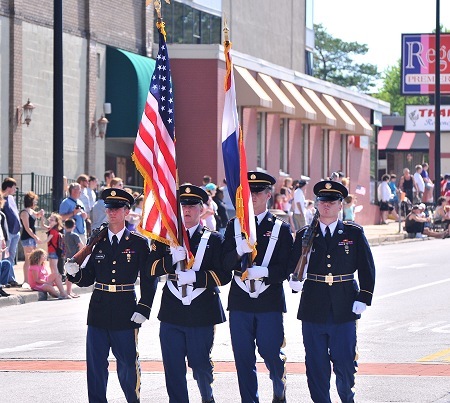 Enjoy flyovers and more than 150 entries in the Memorial Day Parade. Get close to a corner on Broadway to see the jump team land up close and personal! No matter when you go or how long you stay, the Salute to Veterans events are a wonderful way to say ‘thanks’ to our country’s active and veteran military. We’ll be honest…this isn’t your usual blog post. Here in Columbia we’re very lucky…we get to talk about delicious dining, super shopping and fantastic festivals. Of course, what some people don’t think about is that all of these fun things come together to create one big industry. The Travel and Tourism Industry. When it comes down to it, Tourism means business. Each year, the industry takes one week (hint: it’s this week!) to celebrate the people who make our destinations shine each and every day and the economic impact travel has on the country. Nationally speaking, travel has a ginormous (yes, ginormous!) impact. In 2010, $1.8 trillion (that’s a lot of zeros) was generated by domestic and international visitors to the United States. Travel expenditures also supported 14 million jobs across the country, with 1 out of 9 U.S. jobs depended on travel and tourism. Pretty important, right? Here in Columbia, travel and tourism is just as important. In 2011, tourists spend nearly $322 million in Boone County and tourism-related employment was at almost 10,000 people! Of course numbers are great, but it all comes down to people who make the industry great. So thank you to our tourism partners; our local hoteliers, restauranteurs, airport workers, taxi drivers, football game ushers and everyone else who puts on a smile and welcomes people to our amazing city. And, of course, a huge thanks to YOU for visiting.